As a society we have established and live by a set of rules designed to keep merchandise and services intended for adults out of the reach of children. Yet on the Internet, it is more like we live in the Wild West where anything goes. Logically we know all these rules still apply. But enforcing them is a different situation. 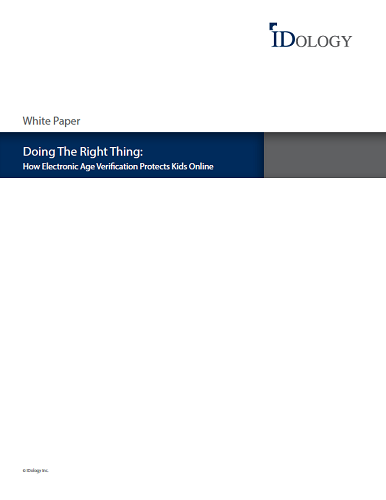 Fortunately, advanced age and identity verification technology solutions exist that foster online trust and allow businesses to know who their customer is when selling, marketing or distributing age-restricted or age-sensitive products, services or content. The result of such solutions is a safer online environment for kids that supports adult freedom of choice and protects sensitive identifying information.